For me, the most important room in the house is the living room. It’s the place where guests congregate, and normally the biggest room in your house. So, it’s important you have great decor in a space that reflects your style. These are three areas to look at adding some personality when decorating your living room. I find that a few subtle changes can brighten up any room. Regarding your living room, there’s one piece of furniture everyone needs; a coffee table. This can be the centrepiece of the room, something to grab people's attention and display a few personal touches such as flowers, decor objects or books. When it comes to coffee tables I'm personally a fan of modern coffee table design such as the classic Noguchi table pictured below. For a more rustic look a wooden table topped with candles and flowers looks gorgeous while a very contemporary table might be a metal and glass table. For a softer look opt for a tufted ottoman with a tray. To up the functionality, get one with storage inside to store extra cushions or blankets. 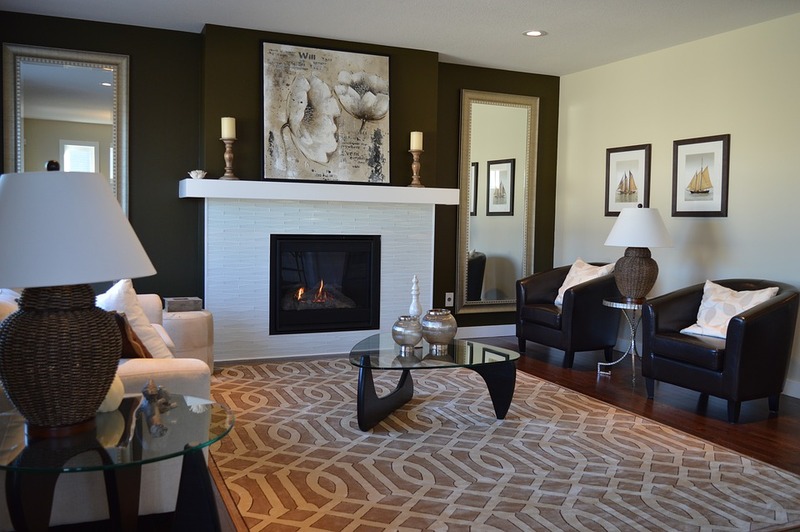 One thing that can add some serious style to your living room decor is a fireplace. Whether you have a fireplace with gas heaters or a traditional wood burning one, play to your style and accessorize or revamp accordingly. A traditional red brick fireplace might look fresh and fabulous with a coat of white paint. For a minimalist look, a chunky wooden shelf above a gas or electric fireplace adds a display mantle but stays minimalist and modern. If you have a corner fireplace with basic builder tile, maybe re-tiling with a tile with some pizzaz is all you need to add some personality. Whatever you do, enjoy the warm atmosphere in the room that makes things even better. My final tip is to turn your attention to something that is often neglected; the ceiling! An exciting or different ceiling design can add an unexpected design twist to your room. Basic or boring ceilings go unnoticed but a cool ceiling will draw attention and complete your living room. If you have a little pattern on the walls, include it on the ceiling too. Or, give it a new lick of paint that brings out the other colours in the room. Add some beams or maybe even wallpaper for a unique feature that really stands out. Take everything in this post on board if you want the living room of your dreams. Why settle for an average interior design when you can have the best around?